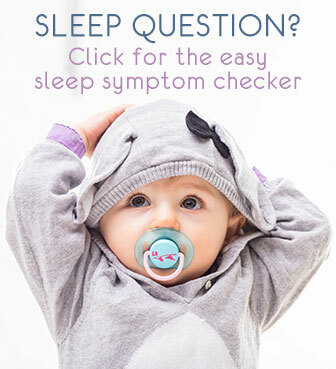 I need a baby sleep method that works! I made sure to have a bedtime routine we have dinner read a book bathe then sleep at 830...she sleeps right away after the bath but she's up again at 1230 am every night to breast feed and then up again 2-3 times after that and it's taking so much patience to put her to sleep after so much rocking then she wakes up when I put her down.... my husband has been trying to rock her because he sees how tired I am, it's just not working! Please help!!!!! Heidi's Answer: Hi Randa, The thing to do I see for you now is to work with nothing but the gentle method to teach her self soothing, as I describe on my self soothing page. I know you will say you have tried that but let's add some details and you will have better results. The first thing now is to give her some time 'off' after the many things you have tried. Don't get me wrong, it was good of you to try different things. But since your daughter keeps having a hard time, it's good to give her some peace now. This will help her with gently acquiring the right sleeping skills. By the way, how are her naps? Keep doing the great routine and night time sleep at 8.30pm (although if you find she is well tired half hour or an hour earlier you can consider shfiting that bedtime towards 7.30-8pm). I understand the the 0.30am feed is the only time you breastfeed and she has no trouble sleeping after that? Then leave that as is for now. Then for the next awakenings, start working with the self soothing method. The whole process may take a while, and will still need rocking/walking to sleep at first, but your patience will be rewarded. - First stage: When she wakes and cries: rock and walk her to sleep as you are used to. BUT, do not put her down 'as quickly as possible'. Instead wait until she is in a deeper sleep. Once she's well asleep, do sit down holding her so you can get that rest but still wait and watch her. It can take 15-20 minutes before she really sleeps deeply: then her breathing will slow down, her face and whole body will be relaxed. If you find it difficult to see (not all babies show the signals that clearly): use a clock and actually time: time 20 minutes then put her down. Make that 5 minutes longer if she keeps waking each time. Only then, put her down in the crib. Make sure you only have to put her down, no tucking in or so (any type of wearable blanket or baby sleeping bag is ideal for this). Even if this still requires a lot of effort from you, it should make your nights a bit more relaxed: less crying and you all relaxing about the fact that you are helping her, it is OK for now. Do this for a week or a bit longer: until you really get a feeling for when she sleeps deeply enough to be put down etc. - Second stage: You still rock and walk her to sleep when she wakes up and cries. But now, start putting her down in the crib a little earlier (2-3 minutes if you had been timing it). If this works: keep doing it for another week, both you and your husband, at each awakening. If she wakes up, don't delay but pick her up and help soothe again until she's in deeper sleep. Then retry next time. - Third and following stages: Now, little by little you will put her down a bit earlier. You will most probably get a better and better feeling when you can put her down. And, most importantly, your little girl is learning all the time too: she will feel reassured and physically learn to go to sleep this way. Don't forget to praise her each time she wakes after having had a good sleep-start (even with your help). Little by little you will reach the point where she goes down not asleep, but half asleep, just dozing off, half awake, and finally awake ... Encourage her constantly, praise her and make the bedtime moments cheerful (but not too lively :)). 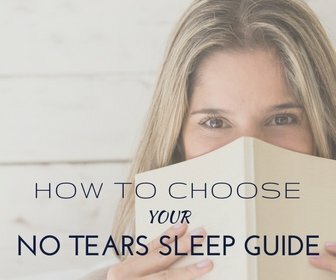 For full details and instructions to take the 3 steps to lasting self soothing, you will find my "No-Tears Self Soothing" guide helpful. 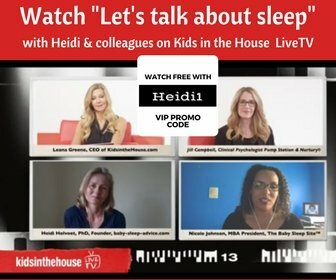 Comments for I need a baby sleep method that works! My little girl is also 9 months and I felt like someone was writing about my story. I have been having the exact same experience with her, including the night feeding. I don't know about your daughter, but mine only wants to sleep in half hour blocks during the day. So frustrating when you feel like you have tried everything. I am going to have to try this advice.